Walker Fitch is our Rockstar for the month of February. Congratulations Walker. We will be exchanging valentines on February 14th. 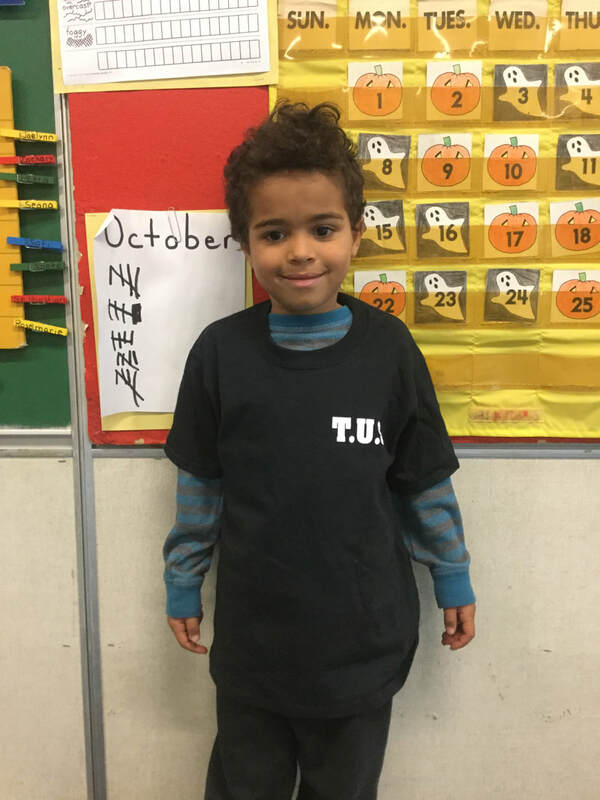 Your child has a list of the names of the children in our class in their take home folders. If you are able to contribute a food or a drink to our celebration, please let me know. 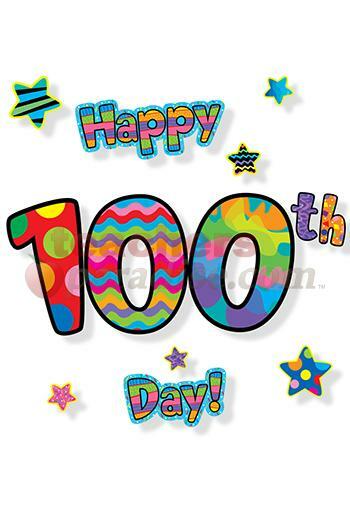 Please have your child bring 100 objects to school on Wednesday to celebrate our 100th day. We will be sorting the objects into groups of 2s, 5s, 10s, or 25s. Suggestions for items to collect to sort are pennies, toothpicks, paper clips, etc. Please do not send in edible foods to sort. We will be touching them with our hands on our desks as we sort and I would not want them to be tempted to eat them after the lesson. Thank you. 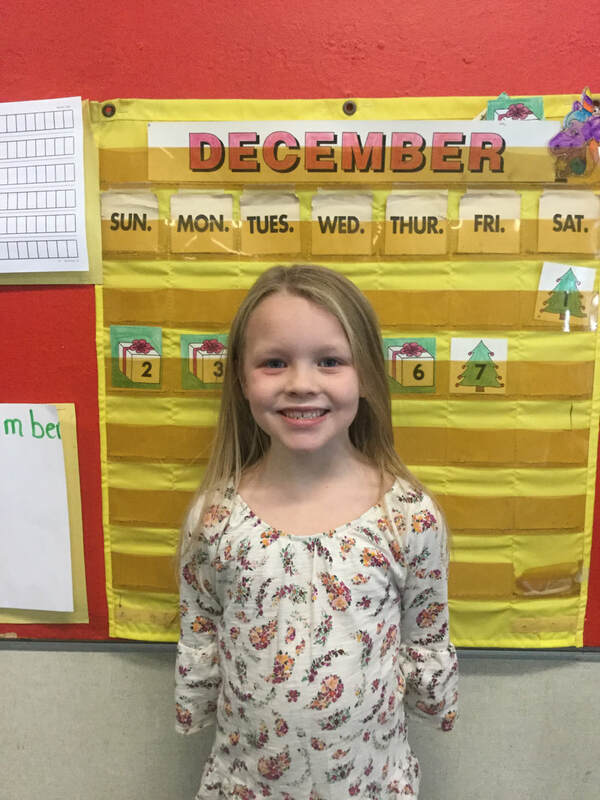 Jaelynn Gadue is our rockstar for the month of December. Congratulations Jaelynn. We will be collecting non perishable food items for the food shelf through the month of December. Report cards will be sent home on Friday. If you have any questions on concerns, please contact me. Students will be dismissed at 1:00 after having been served lunch. Each child has in their folder a book they have written explaining the origin of the First Thanksgiving. There is also a set of poems that the children have learned.